School is in session; life is good. 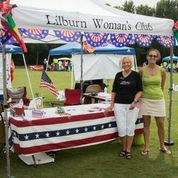 Still lots going on in and around Lilburn. In this issue we feature upcoming festivals and events along with updates on what our businesses and organizations are doing. In the midst of all the activity, we would like to take a minute for you to consider getting involved in the Project Selection for the upcoming SPLOST. This is a unique opportunity to have a lasting impact on our community. Please read below. Do you want to have a say in how $500 million in SPLOST funds will be spent on transportation projects over the next six years? Are you interested in improved roads and intersections? Would you like to see more sidewalks and bicycle paths? Do you want to make sure that our area gets its fair share of SPLOST funded projects? Then come to a countywide meeting on Monday, August 15, 6:30 pm - 9:00 pm at the Gwinnett Justice Administration Building 75 Langlely Drive, Lawrenceville. Once at the meeting you will be joining citizens from all parts of Gwinnett to self-elect 11 Gwinnett County residents who will serve on a committee that will ultimately decide the SPLOST transportation projects that will be voted on during the Nov. 8 general election. Your attendance at the meeting is of great importance in this process. We are not asking you to be willing to serve on the committee, just that you be willing to go to the meeting to elect Lilburn area individuals who are familiar with the needs of our community. Currently we have three individuals who are willing to serve on the committee in a representative capacity and attend the future committee meetings. They are Davida Baker - Seniors; Dr. Uday Parikh - District 1; and Sohum Mehta - Young Professionals. There may be other candidates that come forward at the meeting, but most importantly we need Lilburn area residents to attend. Bring your ID to verify your residency. To view the committee make-up and expectations click: MORE. If you have other questions, contact info@lilburncp.com. What is Geocaching? Geocaching is a real-world treasure hunt that's happening right now, all around you. You use your Smartphone or GPS to navigate to hidden items (called a geocache or cache for short) in different locations. It is a great motivator to get outside and do some exploring, get some exercise, and learn about areas you might otherwise never visit. Both adults and kids go caching. It is fun family activity. 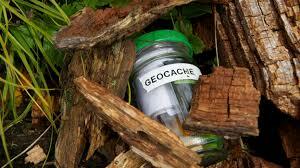 The idea is to find the cache without drawing attention from those that do not know about geocaching. Have you ever been at a Rest Area and seen someone looking through the bushes? Or picking up light post holders? Or standing around a guard rail? Well, there are more than 2.8 million geocaches waiting to be found in over 180 countries. In addition, there are approximately 3 million geocachers worldwide. Chances are you have seen a geocacher but did not realize it. What do I need to do to geocache? The only necessities are a GPS device or a GPS-enabled mobile phone so you can navigate to the cache and a geocaching.com membership. The Basic membership is free. The Premium Membership is $30. When you join you decide on a geocaching name that is used when you write on the log in each cache and on line (geocaching.com). I am a runner so I decided to use GArunner (Georgia runner) for my cache name. Go to the geocaching website and find a cache near you. Put the coordinates in your gps. Then follow it to the location. After you find the location the real adventure begins. The cache can be within 50 feet of the coordinates. Now you need to rely on your senses to search for and find the geocache. It is always hidden and sometimes well camouflaged but never buried. Each cache has a terrain and difficulty rating. The more you cache the better you are at finding them. 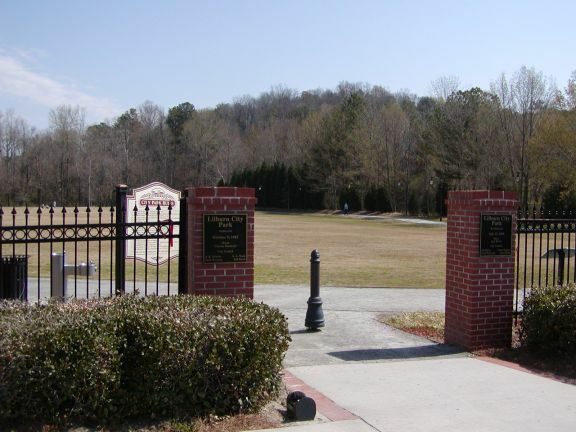 Have you ever walked along the Camp Green Greenway in Lilburn? 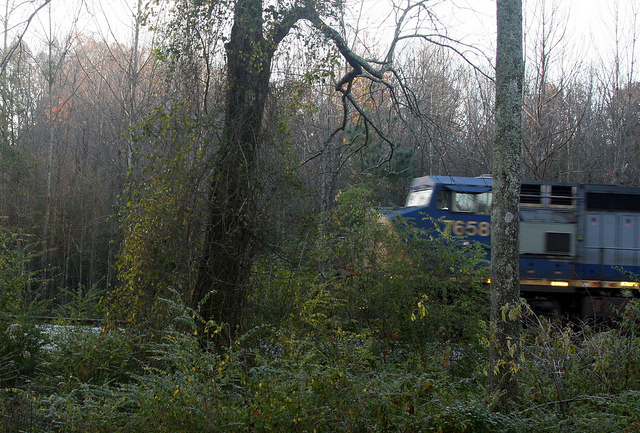 Camp Creek Greenway has one of the newest geotours. Ten geocaches are hidden along the path. Go to geocaching.com to find out more about it. Georgia State Parks has a geotour with 47 caches hidden in 44 spectacular state parks, taking you from Cloudland Canyon to Skidaway Island, and everywhere in between. The quest ranges from easy to tricky. You can download a geotour passport from the Georgia State Parks website or pick one up at the Welcome Center in any Georgia State Park. The more you learn about geocaching the more there is to learn! The best way to start is to go to geocaching.com and explore the website. Watch the youtube videos. As with any group, geocaching has its own acronyms. A muggle is someone who does not know about geocaching. If you have read this article then you are not a muggle any more. Go out and find a cache! After you find a few you may decide to hide one yourself! Vega Agency - Interested in earning money for your school booster club? Adults can request an insurance quote from Miriam Vega Insurance and Vega Insurance will donate $10 per quote to the client’s designated school or school booster organization. Promotion will close Oct. 1. Contact Miriam Vega at 770-923-7024/cell 678-527-4843 or email miriamvega!@allstate.com. Vega Insurance is located at 375 Rockbridge Rd. in Lilburn (in the Publix Shopping Center). Bambinelli's: We want to thank the Lilburn community for supporting us for 11 years! Come celebrate with us this Friday, Saturday and Sunday and check out our new specials, menu, gift card deals, and more! 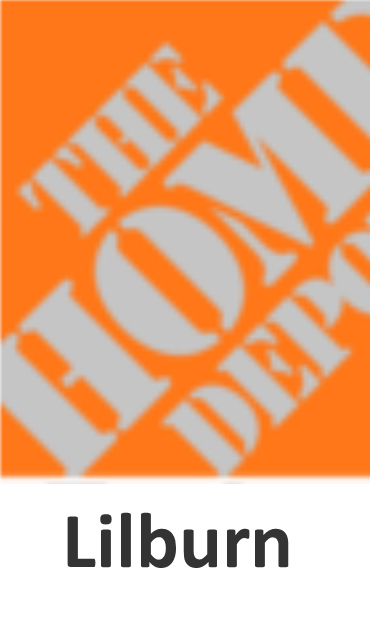 Buy a $50 gift card and receive a $20 gift card free! Offer only available this Friday, Saturday, and Sunday so hurry in! Agavero: Enjoy Jazz music on Sundays, Trivia on Mondays, and Mariachis on Thursdays. 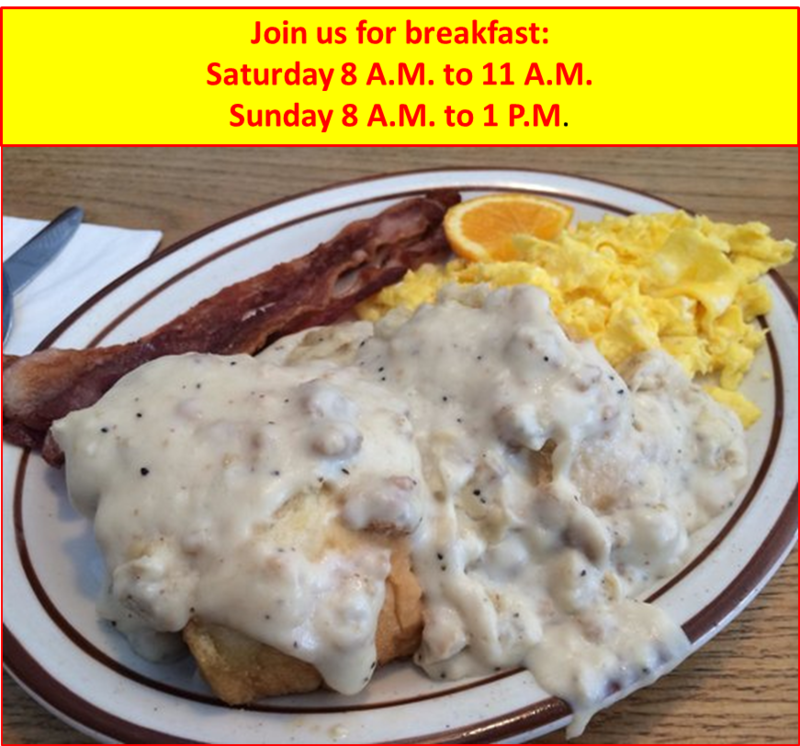 The Barn Smokehouse is now serving breakfast on Saturdays (8 am - 11 am) and Sundays (8 am - 1 pm). 5464 Lawrenceville Hwy. 470-385-6728. www.barnsmokehouse.com. The NLRB has created new rights for nonunion employees. Recent months have seen near endless National Labor Relations Board (NLRB) and USDOL challenges to employee handbooks and rules. Reasonable and long-standing practices about solicitation, professionalism, confidentiality, harming the company’s reputation and discipline have resulted in the NLRB ordering back wages and reinstatement for employees even when no union was involved. This presentation will provide attendees with a checklist of how to remain compliant. Click here to REGISTER. PetSaver™ First Aid Class will cover a number of valuable first aid skills and information to help keep their pets happy and healthy. Additionally, the class includes the PetSaver™ handbook, and upon successful completion each participant will receive a certificate. The instructor is Nicole Essawy, nicole@DobieMom.com. ** The class is just for humans! Do not bring animals or children. 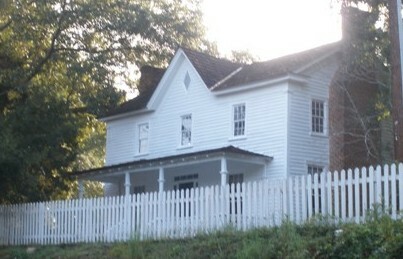 The historic home is not wheel-chair accessible. “HOW NOT TO BE A GHOST HUNTER” is a paranormal workshop by Shannon and David Byers (Timeless Paranormal) and Will Aymerich (Host of the AYMERICH Show). Friday, August 19, 7 pm – 12 am, 4684 Wynne-Russell Drive in Lilburn. $25. More information at www.facebook.com/events/27070816329631. Proceeds benefit the Wynne-Russell House. On Saturday, August 20, from 9 am to 12:00 pm, Pat Shaver will lead a workshop "So You Think You Can Paint". The subject will be a view of the yellow daisies and granite outcrop on Stone Mountain. Canvas and all acrylic paint and brushes provided. Pat has taught similar workshops as fundraisers for the Lilburn Woman's Club and Tucker Methodist pre-school. Pat Shaver is an accomplished self-taught artist, having attended workshops with Don Andrews and Lian Zhen. She works mainly in watercolor and acrylic.Join us for a fun and educational acrylic painting experience! Cost is $25/Lilburn Arts Alliance Member and $35/non-members. Lilburn Arts Alliance Members may use their "2016 Free Workshop Credit" (if not already used) to attend this class. Wed. Sept. 14, 5 pm. Historic Preservation Committee Meets. Wed. Sept. 14, 7 pm Lilburn Arts Alliance Meets. 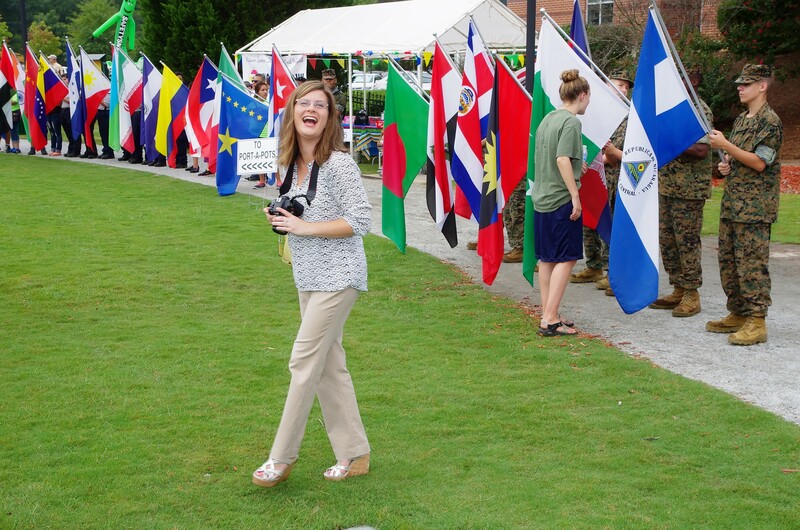 The third annual Small Town, Big World Festival will take place Sat. 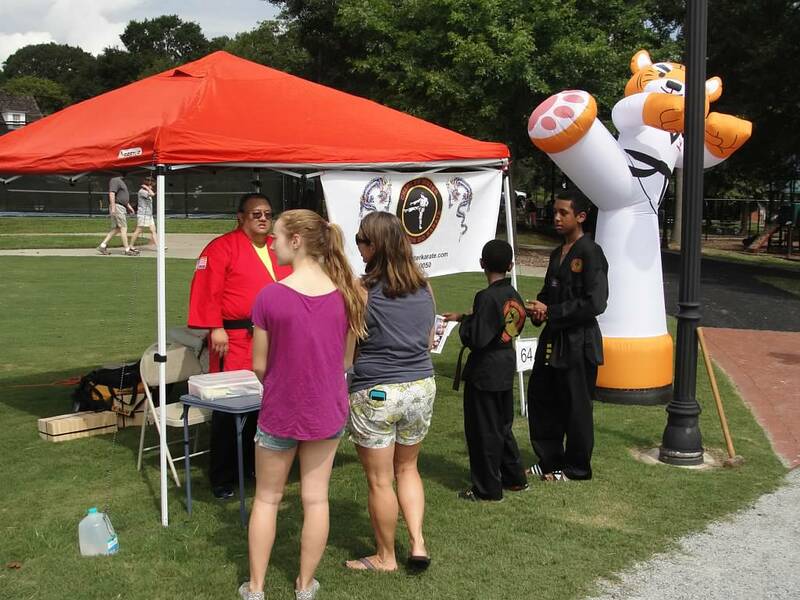 Sept. 10, from 10 am until 2 pm in Lilburn City Park. 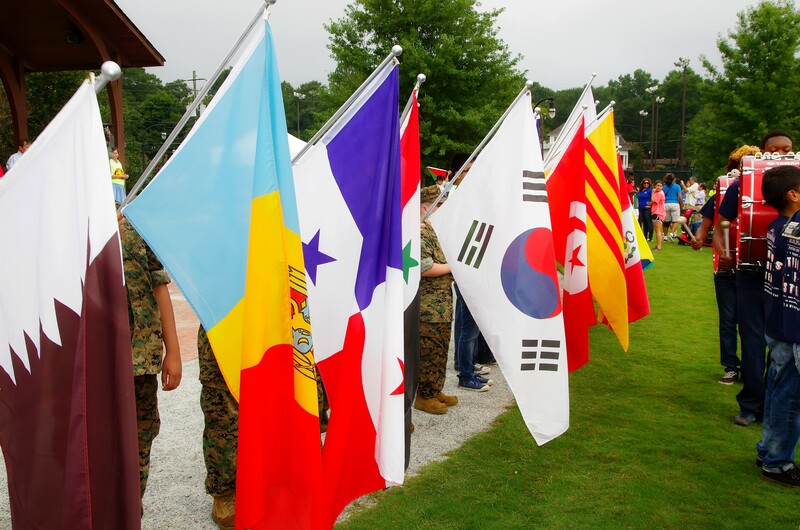 The event will start with a Parade of International Flags led by the Berkmar Drumline followed by Opening Ceremonies which will feature the Parkview MROTC Color Guard and local dignitaries. 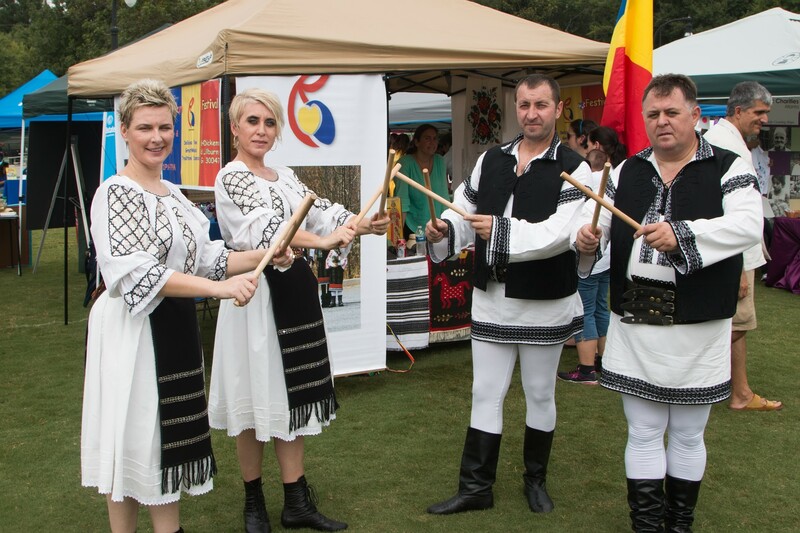 Entertainment will follow which includes the O'Sullivan Irish Dancers, the Lilburn Middle School Orchestra, Bulgarian Dancers, Alma Mexicana, Gayageum, Baghra, Korean Drums and more to be confirmed. Local businesses, schools, and organizations will have booths with information and activities for young and old. There will be bounce houses and demonstrations for youth as well as great food concessions. This is a great family festival presented by the Lilburn Community Partnership and co-sponsored by the City of Lilburn. No charge for admission. Shuttles will be provided by First Baptist Lilburn Church. 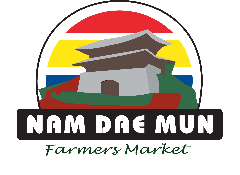 Thanks to our presenting sponsors: Nam Dae Mun and Mundo Hispanico. Go to www.lilburnevents.com for more information. Council Meeting - Next Council Meeting is Mon. Sept. 12, 6:30 pm Work Session followed by 7:30 pm Meeting. Check the City Web site for agenda and minutes. More. This community garage sale is a great opportunity to repurpose unwanted items and maybe find some new treasures while you're at the sale! The date of the sale is Saturday, August 27 from 9 am until 1 pm in the Overflow Parking Lot near the Camp Creek Greenway, 76 Main St. Lilburn. Advance registration for the sale is highly recommended. The advanced registration fee of $15 reserves your 9-foot parking space. After the advance registration deadline, the fee is $20 per space, while they last. Day of sale registrants are not guaranteed a space. Sale layout. See registration form for rules and more information about the sale. Remember this is not a craft sale and commercial vending is not permitted. If you have new items to sell, please contact rschmitt@cityoflilburn.com and you will be directed to other events with vendor opportunities. Carolyn Wright, co-owner of the Lona Gallery in Lawrenceville is the featured speaker at the Lilburn Arts Alliance meeting on Wednesday, September 14 at 7PM. The Lona Gallery features original art by local artists, including wall art, pottery, wood-crafts, glass, fabric arts and jewelry. We meet at the Wynne Russell House, 4685 Wynne Russell Drive, NW, Lilburn, GA 30047. On Saturday, September 24, from 9am to 12noon, Jan Stittleburg will lead a workshop on “Basic Photography for Artists”. We will cover how to photograph flat and 3D artwork, using lighting (available or added), how to display the artwork, and simple image processing in Photoshop. As time allows, we will photograph one piece of art for each attendee, so bring one piece with you. Jan is the owner of JS PhotoFX, a commercial photography studio in Lilburn, focusing on architectural and product photography, website and graphic design. The Lilburn Business Association meets on the third Tuesday of the month from 11:30 am until 1:00 pm at the Jade Dragon Restaurant located at 4230 Lawrencevile Hwy, Lilburn. There is no meeting fee. Members and guests are welcome to order from the menu (under $7). The next meeting is Tuesday, August 16 and features Carole Townsend, Author and Columnist. She will talk on the "Power of Promotion." Ms. Townsend was a staff columnist for 12 years for the Gwinnett Daily Post and has spent the last 3 years doing the column "(Not So) Common Sense" for the Gwinnett Citizen. Her fourth book, Blood in the Soil, published April 12, 2016, departs from the Southern Humor themes of her previous books to explore the 1978 shooting of Larry Flynt. Please join us for a great program and meet your business neighbors. For more information visit our Web site. No charge to attend but registration is encouraged so Register Now. LBA will have a booth at the Small Town, Big World: Lilburn International Festival, Saturday Sep 10th, 10 am - 2 pm in Lilburn Park. This event was well attended last year. LBA will be distributing our new Fall Printed Directory. Please contact Patty Gabilondo to help with the booth staffing. 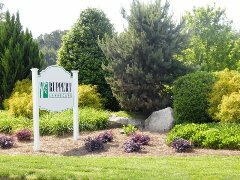 The Lilburn City Council voted unanimously (in June) for expansion of the Lilburn Community Improvement District, following prior approval by the Gwinnett County Board of Commissioners. Property owners join the improvement district and agree to pay an additional tax that will fund improvements along the U.S. 29 corridor. The expansion includes properties on Lawrenceville Highway, Rockbridge Road, U.S. 29, Pleasant Hill Road, Beaver Ruin Road, Lester Road, Luxomni Road, Arcado Road, Harmony Grove Road and Royal Woods Parkway. The Lilburn CID has several initiatives already underway. One seeks to improve auto and pedestrian traffic at two locations on U.S. 29/Lawrenceville Highway. 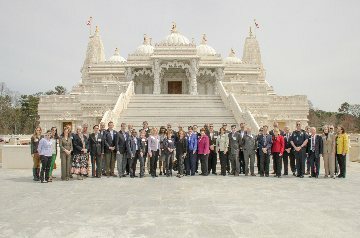 Another is working with BAPS Mandir Temple officials, the city, county and state, as well as the local business community to transform the area around Rockbridge Road and Lawrenceville Highway into a vibrant destination for members of the Mandir, tourists visiting the Mandir and local residents. The plan will focus on transportation and mobility enhancements, landscaping, lighting improvements, residential development planning and economic development strategies. 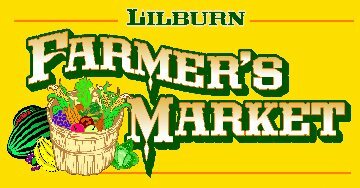 Come out to the Lilburn Farmer's Market on Fridays through August from 4 pm until 8 pm. 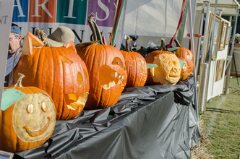 Local produce and baked goods are available as well as food concessions and entertainment. 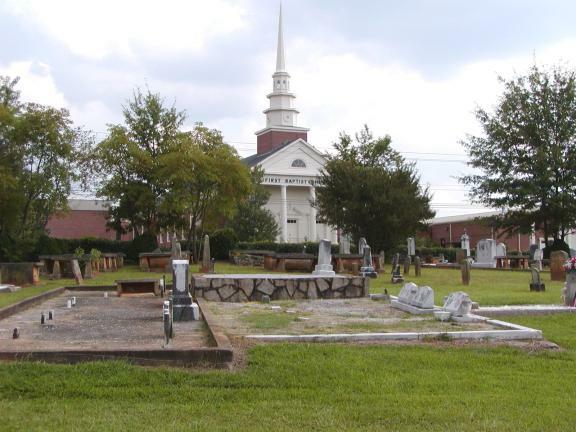 The Lilburn Farmer's Market is held on the grounds of Good Shepherd Presbyterian Church located at 1400 Killian Hill Rd. More. On Friday, August 19, the Market will host "Dog Days of Summer" to benefit our furry friends. The Lilburn Woman’s Club will be hold a Blanket Drive as part of the festivities. 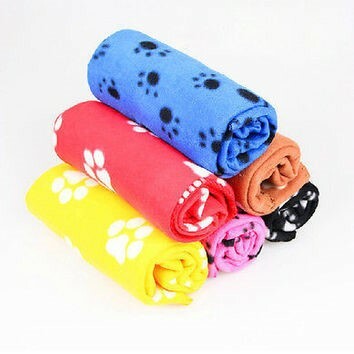 Gently used towels, blankets and throws will be collected that evening to be donated to the “furkids” organization (www.furkids.org). They are the largest rescue group and no-kill shelter in Georgia. The Lilburn Lions Club meets at the Taste of Paradise restaurant at 4805 Lawrenceville Hwy at Noon on the second Thursday of the month. Visitors of all ages are always welcome. 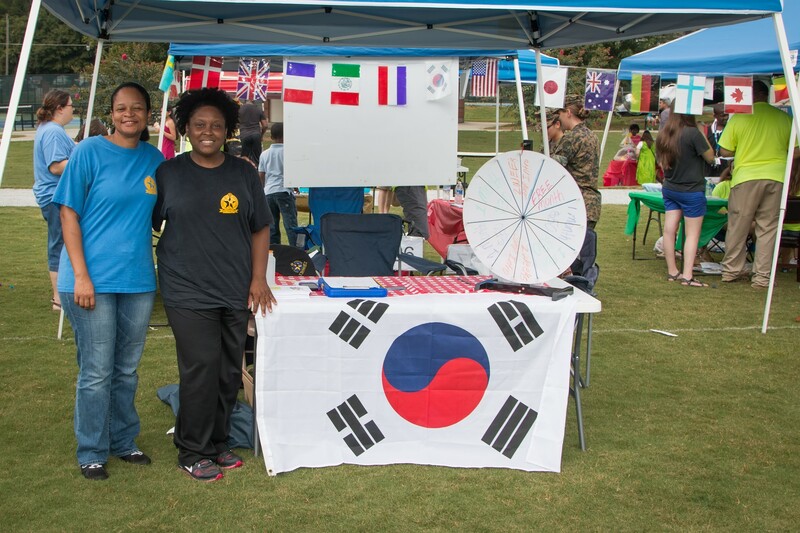 The Lilburn Lions are currently making plans to participate in the International Festival on Sept. 10, provide free vision screening services at the Portal de Salud Health Fair on Sept. 24, provide membership information and answer questions about their activities at Lilburn Daze on Oct. 8, and provide vision screenings at the Bethesda Senior Center Health Fair on Oct. 28 in collaboration with the Lawrenceville and Snellville Lions Clubs. The next meeting is Thursday, September 8. Contact President Derrick Weaver at 770-377-9523 or Danny Taylor at 770-925-0300 for information. 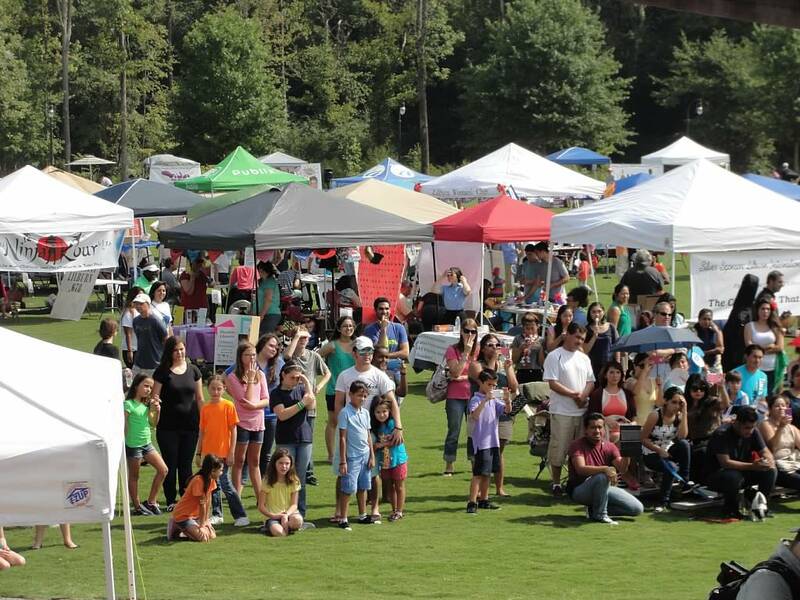 The Lilburn Daze Arts and Crafts Festival is right around the corner. 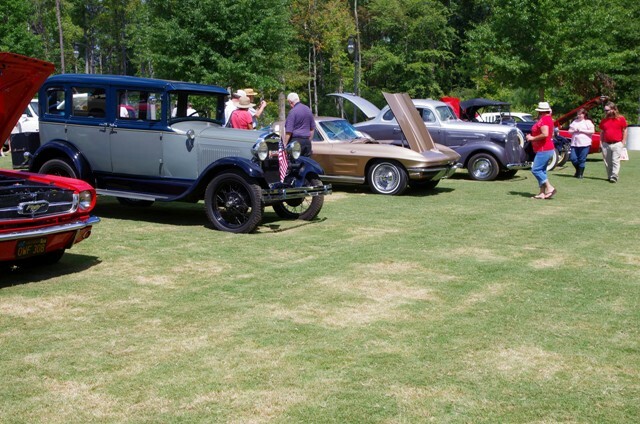 This year's event will be held on October 8 at The Lilburn City Park. 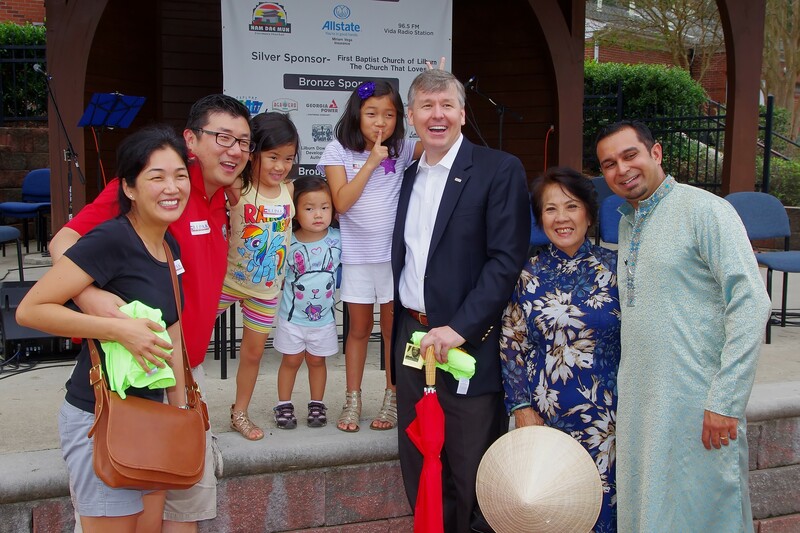 A Lilburn tradition for over forty years, Lilburn Daze features more than 150 arts and crafts vendors, a variety of food vendors and a kid zone featuring free art activities, a train ride, pony rides and lots of other fun for the children. We look forward to having a lot of our favorite vendors returning this year including food trucks, many new crafters and an expanded children's area. Come to find your favorite jewelry, pottery, baskets, wire sculpture, bottle art, wood Adirondack chairs and much more!! Don't forget to stop by the Boy Scouts booth for your kettle corn! We will be accepting vendor and sponsor applications until September 1st. Hosted by the Lilburn Woman's Club and co-sponsored by the City of Lilburn. Visit www.lilburndaze.org for more information. Sanitize sinks/tubs first by cleaning them using bleach. Then rinse and fill with clean water. Prevent carbon monoxide (CO) poisoning. Use generators at least 20 feet from any doors or windows. After you return home, if you find that your home was flooded, practice safe cleaning. Remove and throw out drywall and insulation that was contaminated with flood water or sewage. Throw out items that cannot be washed and cleaned with bleach: mattresses, pillows, carpeting, carpet padding, and stuffed toys. Use household laundry bleach to clean dirt and mold off of items like floors, stoves, sinks, countertops, plates, and tools. Staged Right, our Lilburn community theatre announces their fall dates for their Production of "Wait!" by Julie Jensen and directed by Starshine Standfield. The dates are September 23rd-0ct 2nd, Fridays and Saturdays at 7:00pm and Sundays at 2:30 pm. in Lilburn City Hall Auditorium. Go to their Facebook page and Web page for updates and ticket info. On Tuesday, August 23, we are devoting the entire day to you! We want you to drop by our office anytime between 9 a.m. and 7 p.m. to meet our new Executive Director, Marsha Anderson Bomar and talk about how we can make the next decade as impactful as the CID's first 10 years. We know that for us to be successful, we need your help in writing the next chapter for this area. Date/Time- Tuesday, August 23 between 9 a.m. & 7 p.m.
August 13 from 2:00pm to 4:00pm. Tutoring is provided by GUIDE for all students enrolled in public schools. Presented by One 2 One Educational Support Inc. For more information or to register, call 678.225.5400. Norcross Human Services Center, 5030 Georgia Belle Court in Norcross. Thursdays, August 25, September 22 and October 27 from 6:00pm to 7:30pm. No needles. No appointment needed. Results in 20 minutes. Sponsored by AID Gwinnett. Call 678.990.6435 or visit RCClinc.org for more information. Keyboarding Computer Class for Adults • FREE! Tuesdays: August 16 through September 6 from 9:00am to 11:00am. For students or office staff interested in improving their keyboarding skills. Call the center beginning Tuesday, August 9 to register. 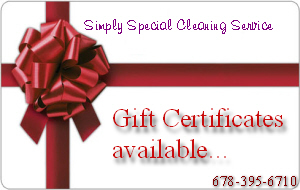 For more information, call 678.225.5400. Norcross Human Services Center, 5030 Georgia Belle Court in Norcross. Learn to Read and Write English • FREE! Mondays: August 15 through September 26 from 9:00am to 11:00am. No class on September 6. Lessons will cover correct punctuation, parts of speech, and grammar/usage. Participants must have some knowledge of the English language. No pre-registration required. Register in class with the teacher. Norcross Human Services Center, 5030 Georgia Belle Court in Norcross. Job Readiness Workshop • FREE! Saturdays: August 13, September 10, October 8, or November 12 from 10:00am to noon. This one day, one on one mentoring workshop will cover resume building, mock interviews, and commonly asked interview questions. Job search tips will also be provided. Workshop led by local top business professionals. Provided by Lift Up Atlanta Inc. Call 678.225.5400 register. Homeowner Insurance Workshop • FREE! Saturday, September 10 from 11:00am to 12:30pm. Provided by Gwinnett Habitat for Humanity. Why did my mortgage increase? Learn how escrow accounts work and how they affect your mortgage. Plus, get tips on saving on your homeowner’s insurance, and more! Please RSVP to rstreat@habitatgwinnett.org. Wednesdays, September 14 to October 5 from 6:00pm to 8:00pm. Sponsored by the Healthy Families Initiative. Topics will cover family history, what it means to be a man, showing/handling feelings, men’s health, communication, the Father’s role, discipline, children’s growth, getting involved, working with Mom & co-parenting. Dinner will be provided. To register, please call 1.877.814.0535. Miércoles, 12 de octubre al 2 de noviembre de 6:00pm a 8:00pm. Patrocinado por Healthy Families Initiative. Los temas cubrirán los antecedentes familiares, lo que significa ser un hombre, que muestre/ de dirección sentimientos, la salud del hombre, la comunicación, el papel de padre, la disciplina, el crecimiento de los niños, están involucrado, en colaboración con la mama y de co-paternidad. Habrá cena. Para registrarse, por favor llame al 1.877.814.0535. August 13 from 11:00am to 3:00pm. 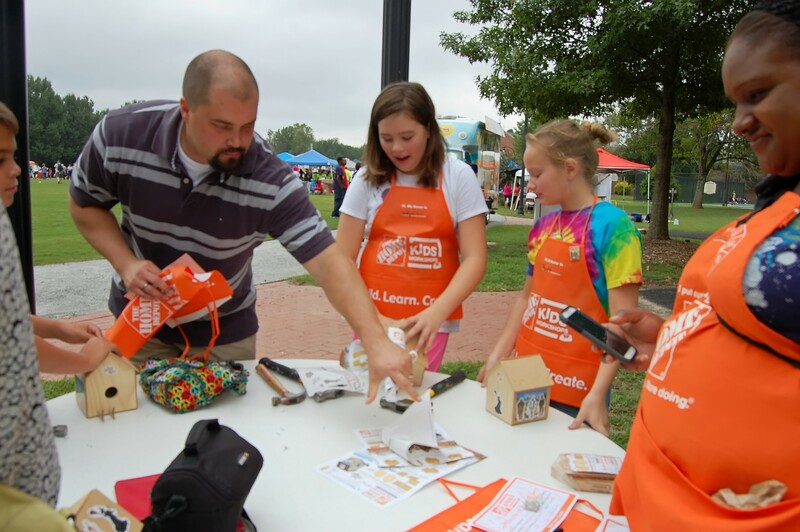 Get a head start on a great school year and enjoy fun activities connected to science, technology, engineering, arts, and math. Cost: $8/person. For more information, visit www.gwinnettehc.org or call 770.904.3500. Gwinnett Environmental and Heritage Center, 2020 Clean Water Drive in Buford. August 15 from 6:30pm to 9:00pm. Gwinnett County is seeking public input on transportation projects that could be funded by the sales tax renewal that will go before voters in a referendum on November 8 of this year. Residents interested in participating on the Citizens Project Selection Committee are invited to attend an organizational meeting. You must be a Gwinnett resident in order to be considered for the committee. For more information, visit www.gwinnettcounty.com or call 770.822.7400. 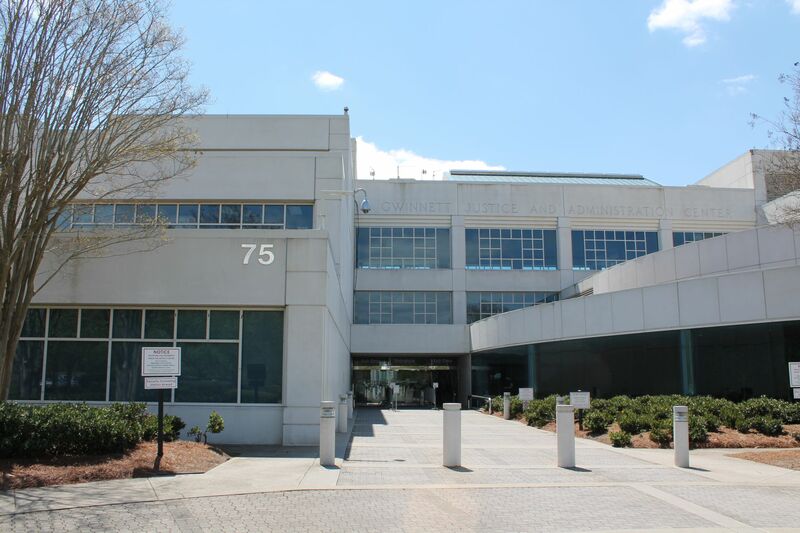 Gwinnett Justice and Administration Center, 75 Langley Drive in Lawrenceville. August 16 from 7:00pm to 8:00pm. Join Gwinnett County Extension Agent Tim Daly as he teaches the benefits of fall gardening. Class will cover the maintenance of plants such as broccoli, cabbage, and carrots, which make wonderful additions to your garden after a long, hot summer. There is no charge, but you must register by August 12. For more information or to register, contact Timothy Daly at 678.377.4010 or timothy.daly@gwinnettcounty.com. Shoal Creek Filter Plant, 1755 Buford Dam Road in Buford. August 19 from 9:00am to 11:00am. Meet the men and women behind the badge for coffee and conversation. This program's mission is to break down barriers between police officers and the residents they serve by removing agendas and allowing the opportunity to ask questions, voice concerns, and get to know the officers in the community. For more information, contact Trent Greene at 678.442.6535 or trent.greene@gwinnettcounty.com. Atlanta Bread Company, 4880 Peachtree Corners Circle in Peachtree Corners. August 19 at 7:00pm. Did you miss seeing a movie in the theaters? Join us as we re-create the theater experience and show family friendly favorites just released on DVD. Guests are welcome to bring their own chairs and/or blankets. Concessions will be available for purchase. This month's feature will be Zootopia, rated G. Open for ages 2 and up; Cost: $3/person, must register by August 11. For more information, visit www.gwinnettparks.com. 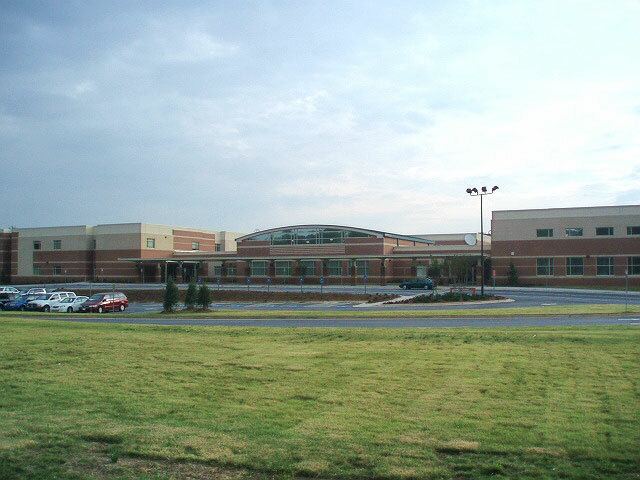 Rhodes Jordan Park Community Recreation Center, 100 East Crogan Street in Lawrenceville. August 25 from 7:00pm to 8:00pm. Herbs are excellent garden plants that require minimal maintenance and come in a variety of scents, flavors, and colors. Join Gwinnett County Extension Agent Tim Daly as he teaches you how to care for your garden herbs. There is no charge, but you must register by August 23. For more information or to register, contact Timothy Daly at 678.377.4010 or timothy.daly@gwinnettcounty.com. 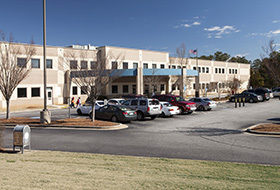 Norcross Human Services Center, 5030 Georgia Belle Court in Norcross. August 29 from 4:30pm to 6:00pm. It's a hot night for some cool jazz! Come enjoy a delicious dinner and a soulfully smooth show. Cost: $11/person. You must register by August 24. For more information, call 678.277.0179 or visit www.gwinnettparks.com. Bethesda Park Senior Center, 225 Bethesda Church Road in Lawrenceville. 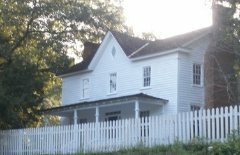 The EHC plans to take guests back in time to the mid-1800s with its living history event at the historic Yellow River Post Office at Hudson - Nash Farm in Lilburn, Ga., on Saturday, September 24, 2016, from 10am until 4pm. 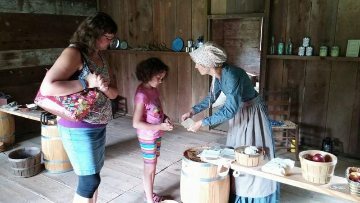 Immerse yourself in life on the home front in the 1860s by touring the historic post office and general store to understand how this location provided critical supplies to the local population during the Civil War period. Program fees for the event are $8 per person. EHC members and children age 2 and under are free. If your organization or business would like to submit, send us your item in a Word document by Aug. 25 for publishing around March 10.